StoryCruz spoke with new UC Santa Cruz freshmen to see how their first few weeks of college were going. 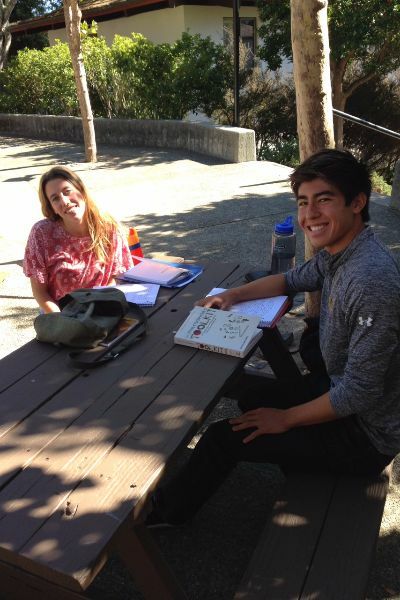 Andrea Block and Brian Buckley were studying in the Cowell Courtyard between classes. 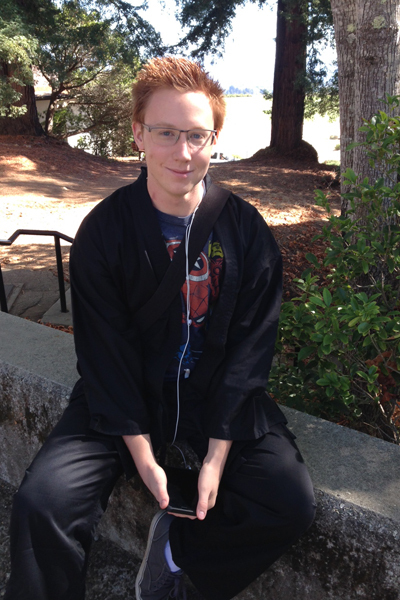 Galen Turoci, a computer science/game design major, was on his way to aikido class, which he says is a great way to decompress from the pressures of school. The beginning of college is an emotional, heady, and exciting time. What classes will I take? How should I spend my time? What will the future bring? UC Santa Cruz audio storytelling project StoryCruz posed these questions to a group of students who were studying outside and enjoying a sunny fall day at Cowell College. Thoughtful and adventurous, the students had interesting stories to tell. Different paths and motivations brought them to UC Santa Cruz, but each had found his or her place here. Andrea Block, for instance, has a "triple nationality," having lived in Canada and Spain before coming to the United States. She already feels right at home on campus. "It's like paradise," she remarked. Block was sitting next to her friend Brian Buckley, who also comes from far away. He was born in Warsaw, Poland, but grew up in California. He's now holding on to his multicultural side by joining Model United Nations UC Santa Cruz. When StoryCruz caught up with Galen Turoci, a computer science/game design major, he was just about to set out for his favorite class on campus: aikido, a martial arts practice that helps him unwind. Turoci, who hails from Riverside, also relaxes by making his way across the wooded and hilly campus on foot. Martial arts plays a strong role in his life. "It is as much spiritual as it is physical," he said. 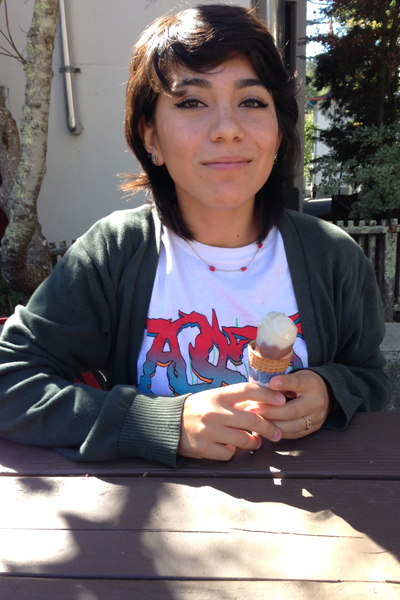 Another Cowell student, Miranda Barbiere, said UC Santa Cruz is "pretty perfect" for her. She comes from Orange County and is studying art. She had visited Santa Cruz before with family as part of a grand tour of the UC campuses.